It's somewhat ironic that the city of Nottingham finds itself on the precipice of widespread recognition as a reputable musical hotbed for the first time in over a decade. The last occasion to spark such a surge of interest coincided with the release of The Closer You Get, the second long player from Six.By Seven. At the time it was earmarked as their springboard to mainstream success. 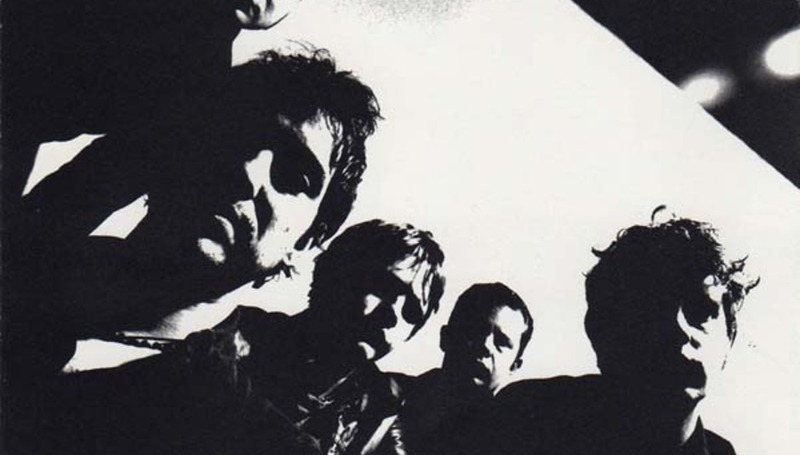 Sadly, it ended up marking the pinnacle of the band's career, culminating in the implosion of the group's creative hub as founder member and guitarist Sam Hempton, instrumental in creating Six. By Seven’s sound, quit the band soon after its release. The Closer You Get represented a vast departure in sound from debut long player The Things We Make two years earlier. Gone were the sprawling, progressive rock soundscapes of pieces like 'European Me' and '88-92-96' in favour of a heavier, more direct approach that owed more to the industrial noise brutality of outfits like Ministry and Nine Inch Nails than the Pink Floyd comparisons of yore. The fiery combination of Chris Olley's lyrical asides and Hempton's signature guitar melodies, coupled with Ric Peet's uncompromising production added an abrasive density to an already ethereal sound. Further enhanced by the deft engineering skills of John Leckie, when The Closer You Get was finally unleashed in March 2000 its brutal onslaught and deeply personal sentiment resembled nothing else on earth. The first hint of Six.By Seven's harsh change in direction was unleashed at the recently opened Heavenly Social's first Christmas Party on 21st December 1999. The brutal 'Eat Junk Become Junk' kickstarted the set, and three months later, with the release of The Closer You Get, a more broodingly intense Six.By Seven were borne. Drummer Christian Davis, now the architect behind Spotlight Kid and bassist Paul Douglas deserve their share of the plaudits for orchestrating the driving rhythms that bring the record’s twelve pieces to life. As an appetiser for what's to follow, opener ‘Eat Junk Become Junk’ wraps a lifetime of vitriolic social commentary into three minutes ("This country's dirty and depressing me"). The disturbingly heavy 'Sawn Off Metallica T-Shirt' make it difficult to envisage how intense the recording sessions must have been, Olley mischievously insisting "I just want to make you smile" at the song's outset. While both 'Ten Places To Die' and 'New Year' provide a laidback interlude, the nervous breakdown of 'One Easy Ship Away' followed by 'My Life Is An Accident' restore The Closer You Get to an austere state of brutality. It's an uneasy ride from here on in. Both 'Don't Wanna Stop' and 'Slab Square' fuse Olley's distorted vocals with guitar bursts akin to that of a machine gun wielding firing squad. The plaintive ‘England And A Broken Radio’, Olley’s desultory "Everybody’s got nothing to say” echoing the earlier sentiments of ‘Eat Junk Become Junk’. Listening back to 'Another Love Song', there are echoes of Doves during their Last Broadcast phase, just one example of many artists subsequently influenced by The Closer You Get. "What you see is what you get" declares Olley on the penultimate 'Overnight Success'. Although initially bearing some resemblance to Godley And Creme's 'Cry', the crescendo of white noise that greets its outro restores the album’s brutally intense theme. Ending on the hushed tones of '100 & Something Foxhall Road', The Closer You Get bows out quietly, its statement of intent already delivered. Although successor The Way I Feel Today displayed some of The Closer You Get's sensory assault, it never quite matched its consistency. However, eleven years after its initial release, The Closer You Get's status as a timeless masterpiece remains intact. Read: Words from our writers about many more of our albums of the year 2000, compiled, here.